Congress president Rahul Gandhi Wednesday said his party had managed to wake up the chief ministers of Assam and Gujarat to grant farm loan waivers and will rouse a sleeping Prime Minister Narendra Modi too. Gandhi's comment came a day after he said he would not let Modi sleep till a loan waiver is given to all farmers. The Congress party has managed to wake the CMs of Assam & Gujarat from their deep slumber. PM is still asleep. We will wake him up too, Gandhi said on Twitter. 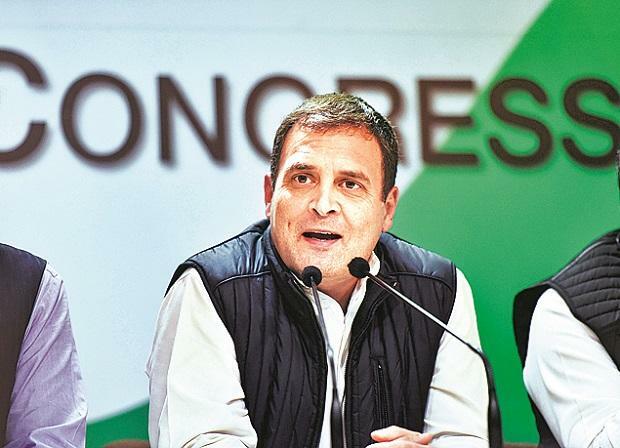 The Congress president has moved quickly to take credit for any potential farm loan waiver the government may plan ahead of the 2019 Lok Sabha elections. There are reports the Modi-led BJP dispensation is mulling major relief for farmers but the contours of such relief are not yet known. Gandhi has been championing the cause of farm loan waivers though he recently said in a press conference that they were not permanent solutions to the farming crisis and technological advances in agriculture in consultation with farmers were needed. All Congress governments have been promising farm loan waivers within 10 days of coming to power. Punjab offered one followed by Karnataka which is yet to ensure the real benefits of waivers reach farmers. Now, the Chhattisgarh and the Madhya Pradesh governments have also declared waivers. We said our governments will waive loans in 10 days. In MP and Chhattisgarh, it has taken less than six hours, Gandhi said on Tuesday. He also said if Modi doesn't grant a waiver on farm loans, his party will make the promise in its 2019 Lok Sabha poll manifesto. On Tuesday, the BJP government in Assam announced the approval of Rs 6 billion farm loan waivers, which it said will benefit around 800,000 farmers of the state. The same day, the party's government in Gujarat announced a complete waiver of Rs 6.25 billion in unpaid electricity bills, under its one-time settlement scheme for over six lakh people living in rural parts of the state.